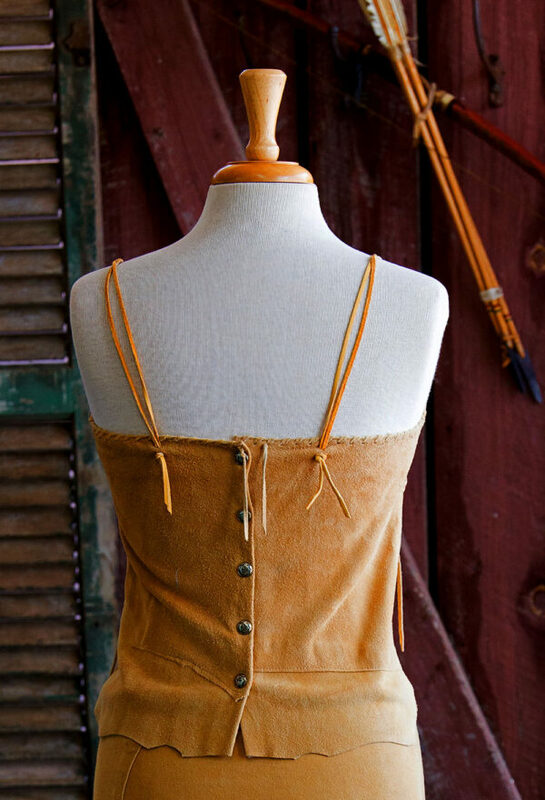 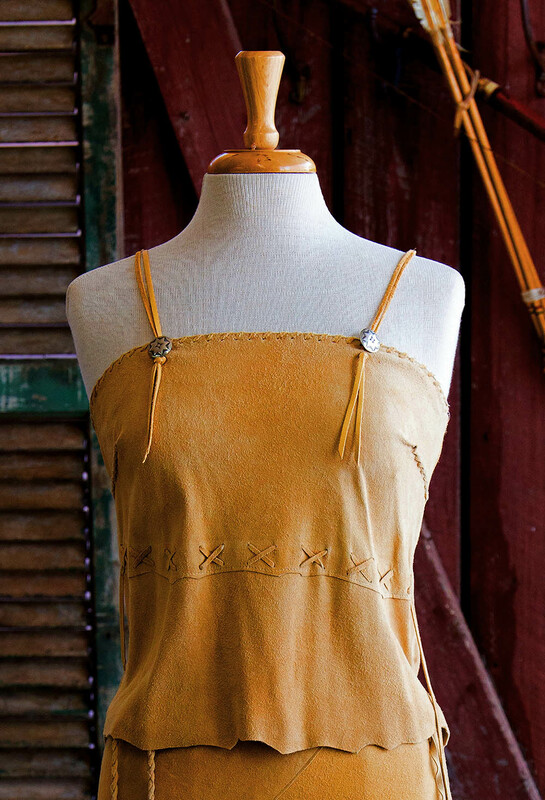 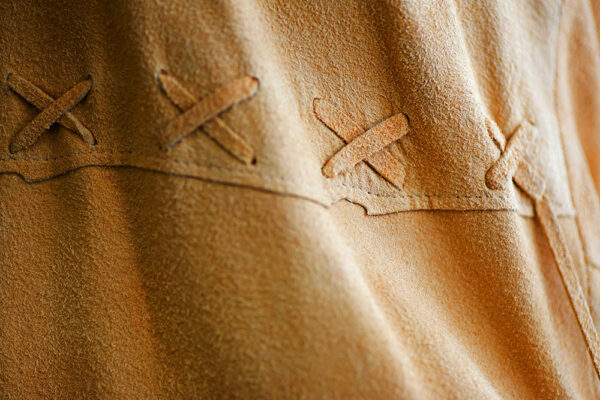 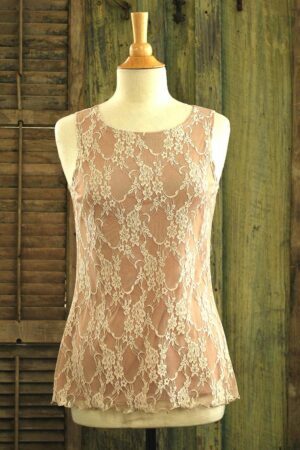 Deer suede camisole with snaps closing the back. 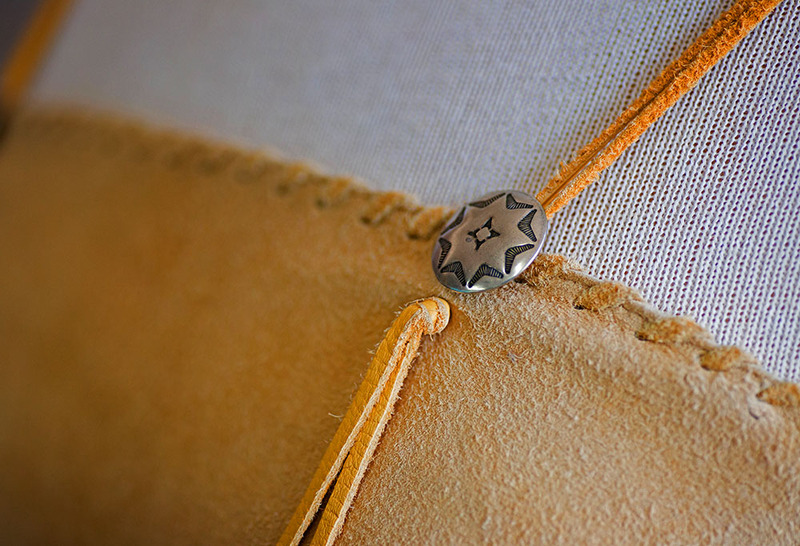 Straps length can be easily adjusted. 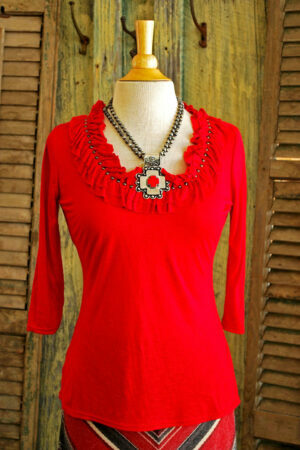 Features include laced top edge, and natural edge hem. Antiqued buttons decorate the front and Thunderbird snaps closed the back securely. 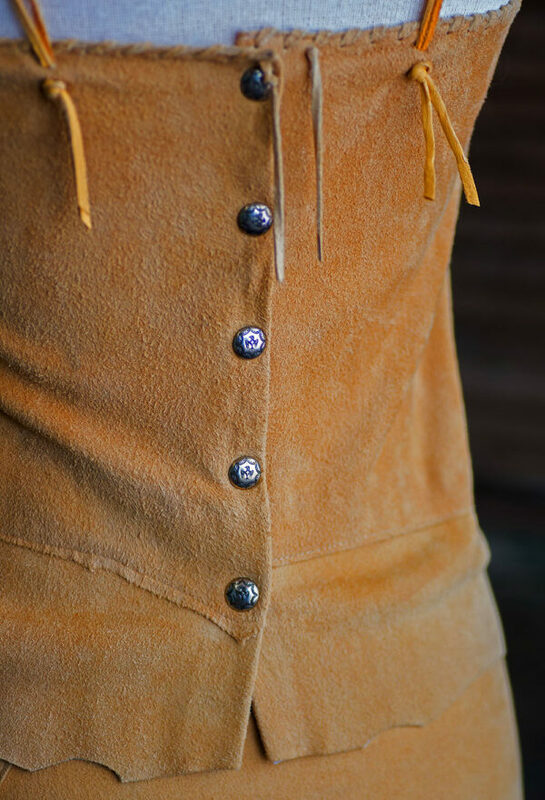 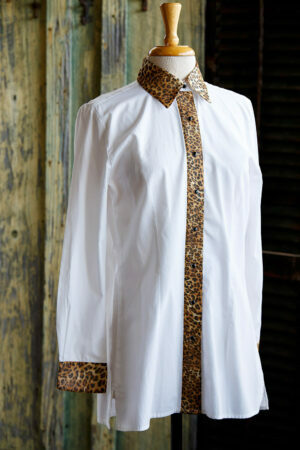 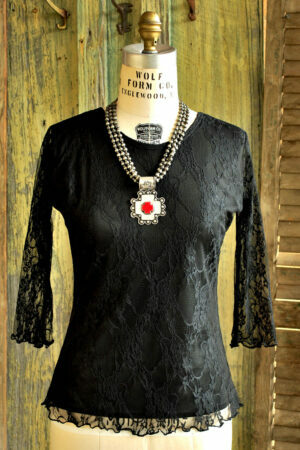 Buttons and snaps are custom made in America for Patricia Wolf.